We are celebrating our annual Customer Appreciation Week and our 6th anniversary in business! Join us May 15-18th, open 7-2pm each day, with special evening hours on Friday the 18th from 5-8pm. 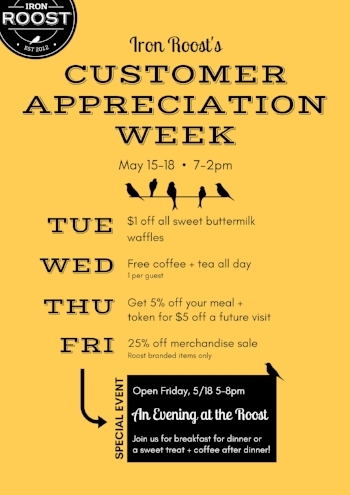 We have some wafflicious giveaways and deals planned for the whole week. Thank you to all of our incredible customers for 6 awesome years!